Balayage… Ball-lay-awje… Balayage. What is this crazy and amazing coloring technique that everyone talks about and no one can pronounce? Balayage is a French term meaning “to sweep” or “sweep away”. It is a highlighting technique that is different and more customizable than a traditional foil color. The technique was designed to mimic the natural sun kissed hair that kids get during the summer time. The balayage technique has changed over time; it first made its appearance in the 70’s in Paris, but the concept has stayed the same. Balayage is an art, it is painting or “sweeping” through the hair, therefore creating more dimension. Brushing/sweeping through the hair leaves a natural flow of color that matches the hairs natural movement. It creates a softer grow out line as well, which enables longer periods of time in between appointments at the salon and doesn’t give you a noticeable gap between color and your roots after a few weeks. The most popular balayage look is “lightener” which is taking darker hair and making it a lighter color. However, you can also do lowlight, which is taking lighter colored hair darker. You can also mix and match a balayage with different colors. 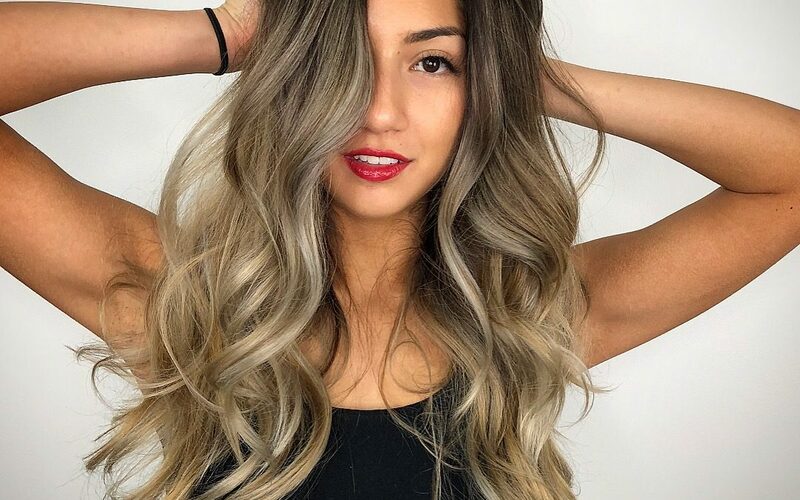 For example, if you are a brunette and wanted a balayage with violet tones in you hair, a stylist would balayage your hair first and then use violet toners to color the now lighter portions of your hair. For some stylists, balayage is their preferred method of coloring hair. Working with hair is an art and a craft in itself, but with Balayage you are literally painting the hair. It is using hair as your painting canvas and allows the stylist to give you a more personalized and “custom” look in your hair. This technique also allows for more control in placement of color and highlights where foils can sometimes limit precise placement. If you are new to Obadiah, we suggest getting a consultation before getting color or dramatic change in your hair style. If you have any questions about balayages or pricing at Obadiah, please feel free to call the salon or click through our stylist bios!